Why did my Dog get Hip Dysplasia? What is the Prognosis for my Dog with Hip Dysplasia? Hip dysplasia is an abnormal development or growth of the hip joint, and usually occurs bilaterally (on both sides). It results in varying degrees of instability in the joint and surrounding soft tissue structures, malformation of the head of the femur and the acetabulum, and osteoarthritis. Depending the degree of dysplasia, the disease is characterized by subluxation (the femur pops in and out of the socket, or there is an incomplete separation of the joint) or complete luxation (the femur remains out of the socket completely). In older patients with chronic hip dysplasia, the development of osteoarthritis progress to the point of being debilitating. Incidence of hip dysplasia has been reported to be as high as nearly 50% in St. Bernards that were evaluated for the condition. The signs of hip dysplasia vary with the age of the animal. In some cases, the dogs show no signs of the conditions. Young dogs that first present with clinical signs between the age of 4 and 12 months often show a sudden decrease in activity, soreness of the hind limbs, reluctance to walk, run, jump, and climb stairs, and difficulty getting up after lying down. The muscles of the hind limbs are often poorly developed. When running, the dog will jump with both rear legs held together, called “bunny-hopping.” They have a decreased range of motion in the hips, and show signs of pain when the joint is manipulated. Older dogs present differently because the condition is associated with chronic degenerative joint disease and chronic pain. The dogs will be lame after prolonged or heavy exercise, will have a “waddling” gait, and a decreased range of motion in the joint. A grating or crunching of the hip joint can often be heard and/or felt. These dogs spend more time sitting than standing or walking, and have a hard time getting up. The muscles in the hind limbs are often significantly atrophied. Since it is so uncomfortable to bear weight on the hind limbs, dogs with chronic hip dysplasia tend to shift their weight to the front. This results in hypertrophy, or growth, of the muscles of the forelimbs. Mild – the ball is partially out of the socket, and there is an increased joint space. There are no arthritic changes present at the time. Moderate – the socket is shallow and the ball is barely seated in it. There are arthritic changes present. Severe – marked dysplasia is present. The ball is partially or completely out of the socket, which is shallow. There are large amounts of arthritic changes and abnormal bone pattern changes. The OFA evaluates radiographs on dogs two years of age and older. The older the dog is when x-rays are submitted, the more accurate the diagnosis of hip dysplasia. Typically, OFA evaluations are done to assess the joint health of dogs that are intended to be bred. 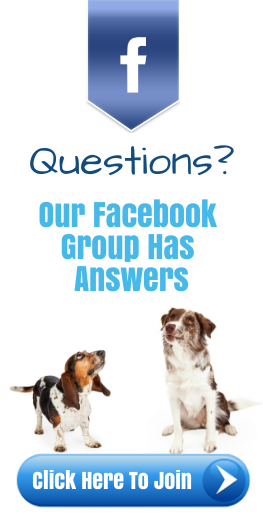 Ideally, the earlier hip dysplasia can be diagnosed the better. Puppies at 6-8 weeks of age should be evaluated for hip laxity by palpation, because there is a correlation between the degree of laxity and the presence of hip dysplasia at 12 months of age. The development of hip dysplasia can be attributed to both environmental and hereditary factors. Rapid weight gain and growth as a result of excessive nutritional intake can contribute to hip dysplasia. It is believed that the hip joints are normal at birth, and that failure of muscles to develop and reach functional maturity concurrently with the skeleton results in joint instability. Factors that cause mild, repeated trauma can also lead to joint changes that may later lead to hip dysplasia. Additionally, there is appears to be a strong link between genetics and hip dysplasia. This explains why certain breeds are overrepresented for having the condition. Treatment depends on the patient’s age, degree of discomfort, physical exam findings, radiographic findings, and the animal’s lifestyle. Many dogs with hip dysplasia show no signs of pain, and some have only mild or intermittent signs. Therefore, a large number of dogs, both old and young, can be treated with conservative therapy. This includes limiting exercise so as to not exceed the threshold the hips can tolerate without showing clinical signs of pain and fatigue. Weight reduction is also very beneficial, and is essential for obese patients with hip dysplasia. 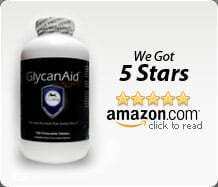 Giving non steroidal anti-inflammatories (NSAIDs) to reduce pain and inflammation, as well as glucosamine and chondroitin supplements to protect the joint cartilage is also advantageous. When clinical signs of hip dysplasia occur at an early age, conservative therapy may not be enough to ensure a comfort and function throughout the animal’s life. Therefore, surgery should be considered. There are several surgical methods used to treat hip dysplasia, which are outlined below. Your veterinary surgeon will decide which option is best for each dog on a case-by-case basis. Juvenile Pubic Symphysiodesis (JPS) – Breeds that are predisposed to hip dysplasia such as Labradors, Rottweilers, German Shepherds, Golden retrievers and other susceptible breeds should be tested at 16 weeks of age using radiographs to identify if they have hip laxity and are therefore likely to develop hip dysplasia. This procedure is performed when puppies with confirmed hip laxity are 16 weeks old. A small incision is made between the hind limbs to expose the pubic bone of the pelvis. Then the growth plate is cauterized to destroy the growing cells of the pubic bone. The remaining parts of the pelvis grow, which rotates the acetabulum over the head of the femur. This results in stable hips with a significantly decreased chance of developing significant arthritis as opposed to having the procedure done when the dog is older. The benefits of this procedure are that it is done on an outpatient basis, has lower morbidity, and about and 85% chance of being successful. Triple Pelvic Osteotomy (TPO) – TPO is a reconstructive procedure that is best for patients that do not have arthritis in the joint. 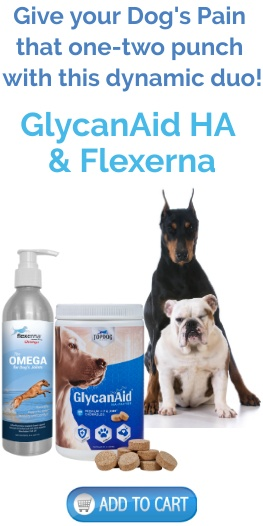 It is usually performed in dogs that are less than 10 months of age, have minimal to no arthritis, and have a crisp positive Ortolani’s sign. In this procedure, one incision is made in the groin, one in the rump, and the third over the side of the hip region. Then the pelvis is cut in three places, rotated to the desired position, and secured with screws. Rotating the pelvis traps the femur in the acetabulum so it can’t pop in and out. By one day after surgery, most dogs will start to bear some, but not all of their body weight on the repaired limb. By 6 to 8 weeks, the lameness should be dramatically improved. By 3 to 4 months after surgery, the pet should be completely sound on the operated limb. In general, about 90% of the dogs having the TPO surgery will be greatly improved, if not normal. Some mild arthritic changes can develop with time, but usually isn’t an issue until the dog is in its senior years. Total Hip Replacement (THR) – This is a highly advanced procedure and requires and experienced surgeon. It is considered a salvage procedure, meaning that it is performed when the hip joint cannot be repaired. It is usually the procedure of choice in medium to large breed dogs. As the name implies, a total hip replacement involves removing and replacing the joint. It is usually selected when medical management of arthritis is no longer effective in maintaining joint function and quality of life, and is done as late in life as possible. Patients that are not good candidates for THRs are those that are less than 10 months of age, suffer from chronic infections, have concurrent neurological disease or diseases that increase the chance of blood clots, and dogs with bone cancer. Dogs that are uncontrollable are also less desirable candidates because of an increased risk of complications. The surgical procedure begins with an incision over the hip. The ball of the femur is removed and replaced with a cobalt-chrome femoral implant. The acetabulum (socket) is reamed out and replaced with a plastic cup that is cemented in place. Most dogs will start to bear some weight on the limb within a couple of days after the surgery, and by 2 months after surgery they are fully weight-bearing. Femoral Head and Neck Excision (FHO) – This technique works best in medium to small dogs and cats, and like a THR, is also considered a salvage procedure. The surgery involves making an incision over the hip region, and then the joint is exposed, and the femoral head and neck are removed. There is no need to secure the cut bone, because as it heals, fibrous tissue will form in the region so that bone doesn’t rub against bone, and the muscles hold the hip in place. The difference with having and FHO versus other orthopedic procedures is that activity is not restricted after surgery. In fact, it is encouraged because it will help maintain range of motion in the joint and strengthen the muscles. Most dogs will start to bear a small amount of weight on the limb within 2 weeks after surgery, and by 2 to 3 months post-op, recovery is complete. The onset, severity, and incidence of hip dysplasia can be reduced by restricting the growth rate of puppies. Additionally, limiting food intake and maintaining a healthy body weight in dysplastic adult dogs can help slow the progression and severity of degenerative joint disease. Because there is a hereditary component to the condition, only dogs that have been evaluated radiographically to have normal hips should be bred. Risks of complications after JPS are low and failure of the procedure to reduce hip subluxation does not preclude further surgical treatment in the future. Reported complications after TPO include implant failure, loss of limb abduction, and pelvic outlet narrowing. However, the incidence of complications is low and reports of long-term clinical function are good to excellent. Results after femoral head and neck excision vary, and the prognosis is highly dependent upon patient size and postoperative physical therapy. In large patients, 50% of animals have good or excellent function. The rest of the dogs have varying degrees of lameness, but function is better than it was prior to surgery. Medium and small patients usually have better prognosis, with good or excellent limb function. Total hip replacement results in excellent return to normal function, and greatly enhances the animal’s functionality and quality of life. The prognosis for animals that undergo conservative rather than surgical treatment varies from case to case but generally isn’t as favorable, due to the progression of degenerative joint disease.